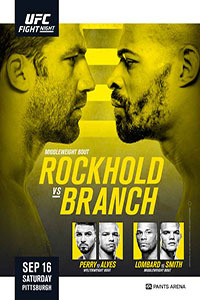 This weekend at UFC Fight Night 116, which goes down tonight at PPG Paints Arena in Pittsburgh, Pennsylvania, former UFC Middleweight Champion Luke Rockhold returns to the Octagon when he faces former multi-division WSOF champ David Branch in the main event. 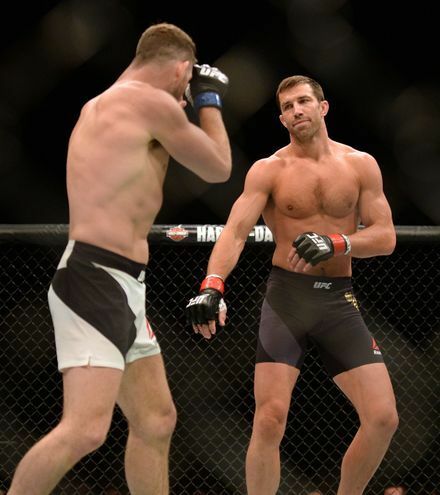 It’s Rockhold’s first fight since June 2016, when he was brutally knocked out by Michael Bisping at UFC 199 to lose his title in shocking, upset fashion. It goes without saying a lot has changed in the middleweight division since Rockhold last fought. After defeating Rockhold, Bisping went on to fight Dan Henderson in a grudge match rematch, taking home a controversial unanimous decision. Bisping then suffered a knee injury and hasn’t fought since, though he is set to return at UFC 217 in November when he fights former UFC Welterweight Champion Georges St-Pierre in a superfight. Because Bisping didn’t defend his title for such a long time, the UFC decided to go ahead and make an interim title fight between Robert Whittaker and Yoel Romero at UFC 213, a fight Whittaker won via unanimous decision. 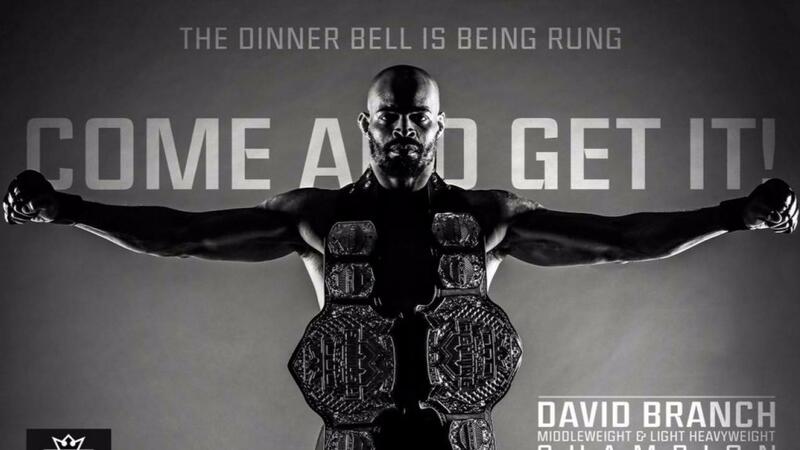 When Rockhold last held the belt, Whittaker wasn’t even on the radar as a serious middleweight contender, and now he holds the interim belt. Bisping’s fight against GSP, a bout that’s been booked because of money, wasn’t on the radar either. 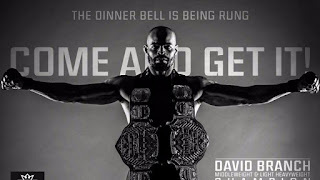 Rockhold losing the belt to Bisping changed the entire direction of the middleweight division, and not in a good way. 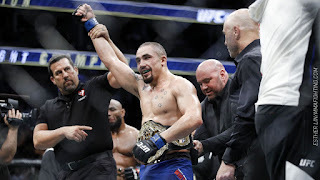 Instead of seeing Rockhold beat Bisping and then go on to fight the likes of Romero or Ronaldo “Jacare” Souza, the UFC was forced to book other matchups, including Whittaker against Souza, which eliminated a contender when Whittaker won in upset fashion. Gegard Mousasi started to emerge as a serious middleweight contender and knocked out Chris Weidman, but became a free agent and later signed with Bellator MMA after the UFC didn’t pony up the cash it would’ve taken to keep him on the roster. Kelvin Gastelum also emerged as a potential new contender, but a loss to Weidman has shot down any aspirations of fighting for the belt, at least until his fight this November against Anderson Silva. Before Rockhold lost to Bisping, middleweight had quietly become the UFC’s marquee division, and fresh title contenders were easy to find. But Rockhold’s loss to Bisping set off a negative chain reaction in the rest of the division, and now, instead of having Souza, Romero, Whittaker, and Mousasi as potential title contenders, it’s only Whittaker. And with Whittaker injured and unable to attempt to unify the belt against Bisping, the UFC had to go ahead and make the Bisping vs. GSP fight, even though it doesn’t seem to be a fight the fans want to see, as bad as the UFC thinks they do. Basically, Luke Rockhold’s loss to Michael Bisping completely changed the outlook of the middleweight division, and not in a good way. A division that was once home to a number of fresh title contenders -- a good problem to have -- now has just a few of them left. For the UFC, the best-case scenario would be to have Rockhold re-emerge as a title contender once again with a win over Branch, then take on Whittaker for the interim belt in what would be a terrific match, then figure things out once Bisping and GSP fight. A lot has changed since Rockhold last fought, but perhaps middleweight can get back to the point it was before he took his leave of absence from the sport. The division would definitely be much more exciting if that was the case. UFC Fight Night 116: Rockhold vs. Branch takes place September 16, 2017 at PPG Paints Arena in Pittsburgh, Pennsylvania. Click the stars to rate how good you think UFC Fight Night 116 will be.